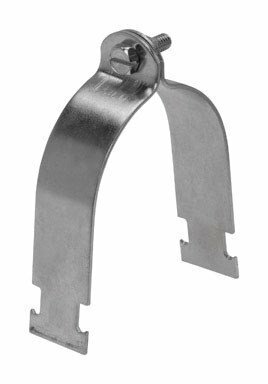 2 Hole EMT Pipe Straps - Steel - Our 2 Hole EMT Pipe Straps - Steel Secure EMT Conduit. 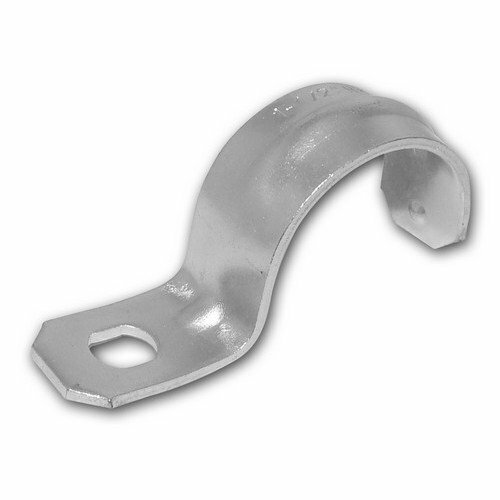 1 Hole Rigid Pipe Straps - Heavy Duty - Steel - Secures Rigid & IMC Conduit. 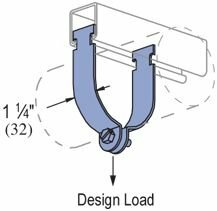 Unistrut the original metal framing system - the most complete line of fittings and strut accessories. 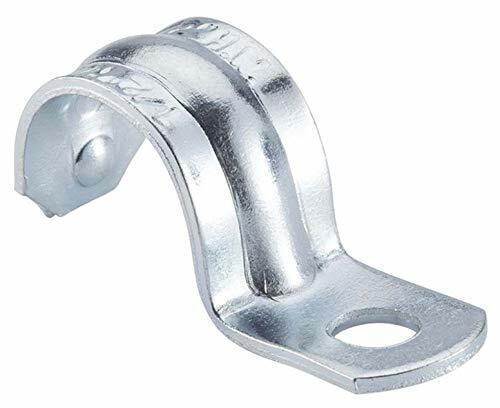 Fittings are made from hot-rolled, pickled and oiled steel plates, bar, strip or coil, and conform to one or more of the following specifications: ASTM specifications A575, A576, A635, A1011 SS GR 33, A1011 HSLAS GR 45 or A36. All fittings meet or exceed physical properties of ASTM A1011 GR 33. The pickling of the steel produces a smooth surface free from scale. 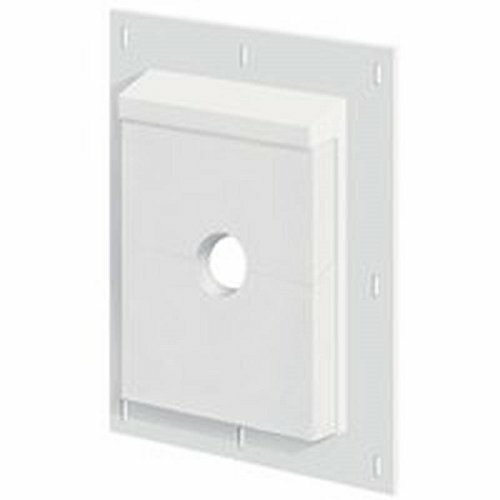 SQUARE MOUNT - 1-5/8" single channel, square mount post base. 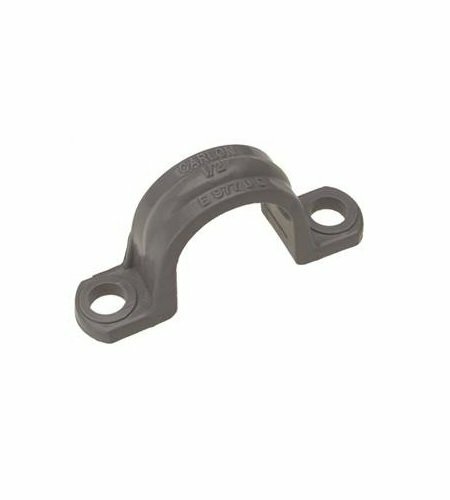 FOR USE WITH - All 1-5/8 Single Strut Channels. SILVER FINISH - Electro-galvanized; ASTM B633, Type III. THICKNESS - 1/4 (6.4mm); 9/16 diameter hole. HOLE SPACING - (From End): 13/16, (On Center): 1-7/8. 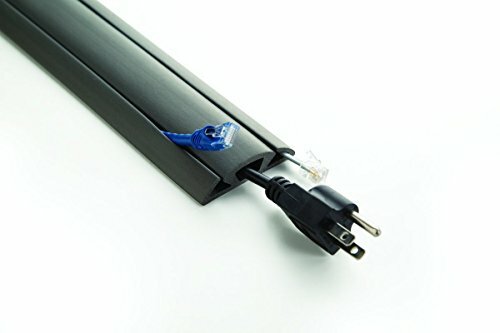 To support EMT conduit where greater load bearing is required. 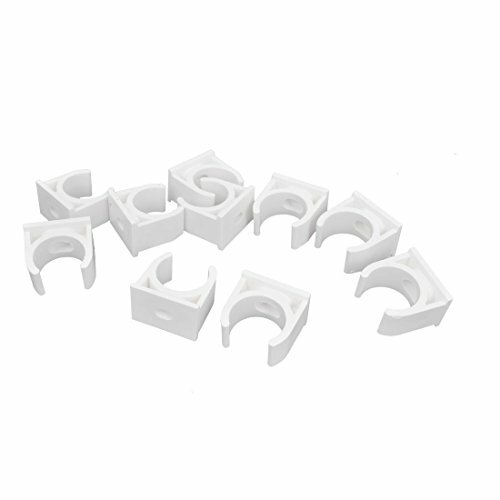 Sigma's Conduit hangers are used to secure and suspend EMT, Rigid, IMC and PVC conduits from overhead supports. 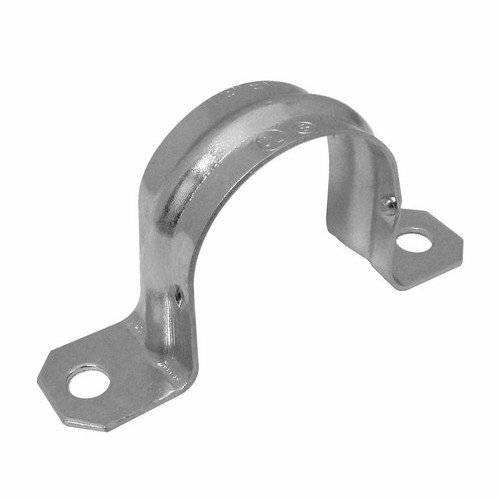 The Conduit hangers come pre-assembled with carriage bolt and nut for secure installation. SIZE/COLOR - Available in 4 colors (Beige, Black, Gray, and Tan). Product dimension: 120 x 2.6 x 0.65H (INCH). 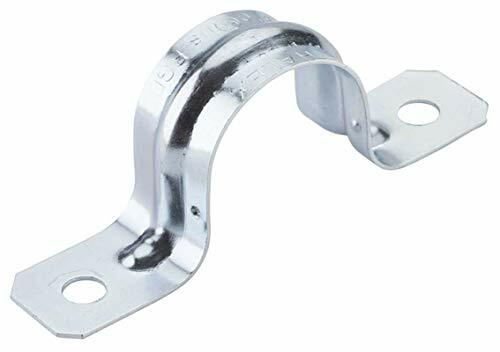 Use to secure Rigid or IMC conduit to wood, masonry or similar surfaces where greater load bearing is required. Diameter: 3-1/2 in. Conduit Compatibility: EMT, IMC, GRC. Material: Steel. CSA Listed. Color: Metallic. Fitting Type: Mogul. Trade Size: 3-1/2 in. 17450 Features: -Post base single channel. 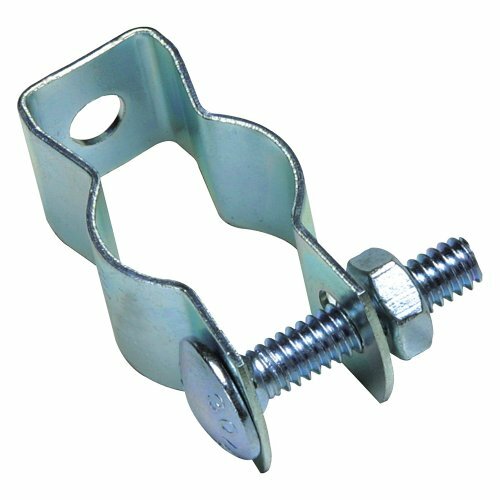 -Durable zinc-plated fence post base. -Box quantity: 5. -Fence post base has zinc electroplate finish. Product Type: -Universal. Dimensions: Overall Product Weight: -2.78 Pounds. 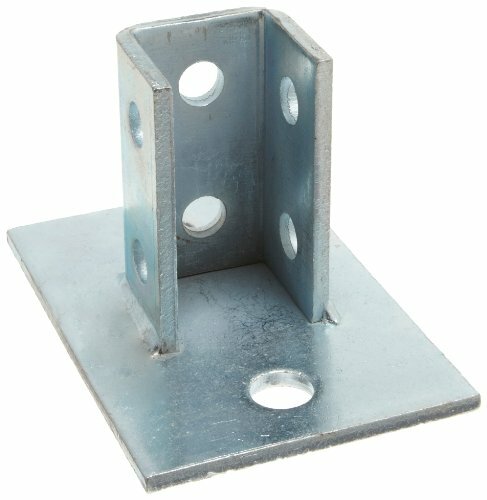 Post Base Single Channel 2 Hole Standard 3-1/2" - Durable Zinc-Plated Fence Post Base. Used for installing spigots, gas lines, bib lines and door bells. Easy installation. 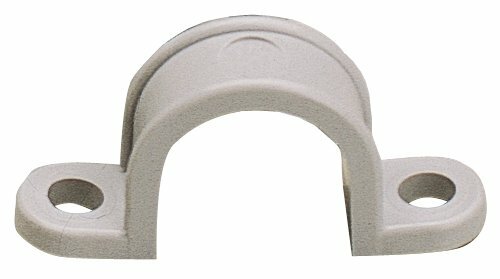 Paintable and durable nailing flange. 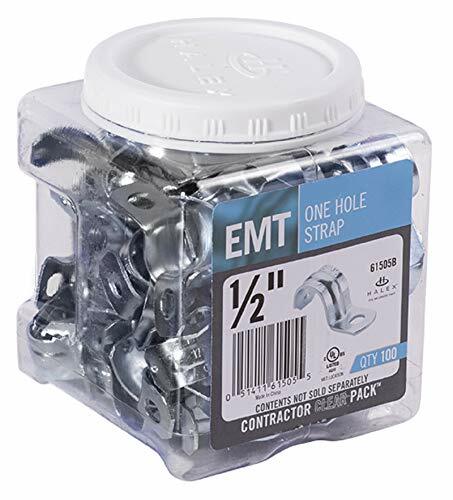 RACO One-hole strap is used to mount EMT conduit. 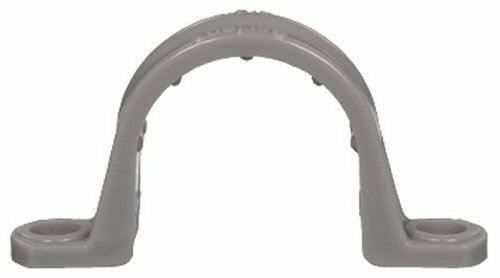 The one-hole push-on strap will snap onto EMT conduit. Oversized bolt holes makes alignments of the fastener quick and easy. Carlon 2" Resi-Gard Raceway 50'. Brand New. . 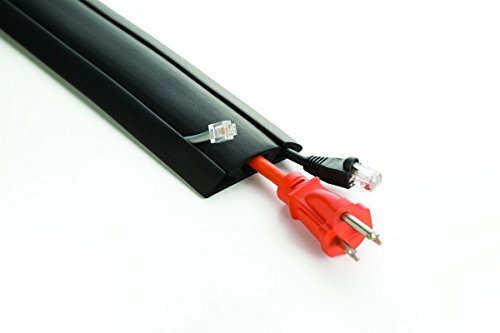 Ideal for providing a main chase from the main distribution panel to a secondary hub in the attic or basement, Resi-Gard nonmetallic flexible raceway is available in 3/4 to 2 diameter sizes with factory installed pull tape in sizes 1 to 2. The raceway is hand bendable, lightweight and easily cut to length to reduce scrap. Bright orange color clearly signifies a low voltage installation. 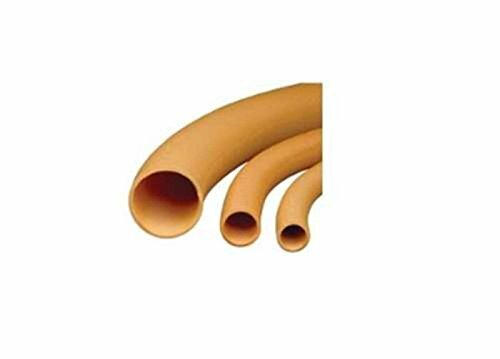 Without lid type, specially designed for corrugated conduit, flexible pipe, holding conduit securely in place. Simply Put in conduit, help save more space and make a neat look. 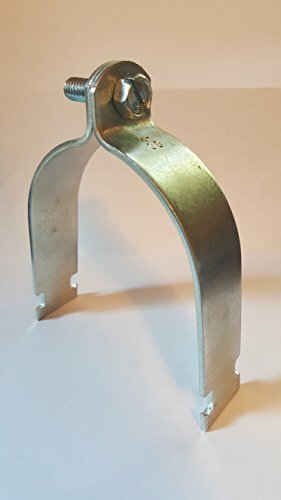 Gardner Bender Conduit strap, 2-hole, heavy duty, 1.66 in opening, plastic, Gray, for PVC, copper tubing, 1-1/4 in Conduit..
clamp used to support or secure pipe or conduit to mounting surface.